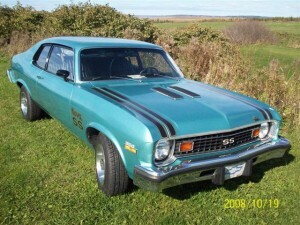 Tom bought his 1974 Nova SS from the original owner in 1985 with 96,000 miles on it. The Nova is all original with a 350 4 barrel, 4 speed, and 3:73 posi. 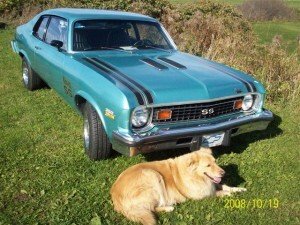 After the Nova was painted nine years ago, it now stays inside most of the time. The Nova now has 148,000 miles and has never seen snow.